When Just Kids came out in 2010 I was working part-time as a security guard in a shopping mall. Of course the only store I actually liked walking by was the bookstore. I can still remember the sight of that black and white book cover sitting on top of the bestseller shelf every shift that I “patrolled.” I casually knew of Patti Smith's music and having recently finished reading Bob Dylan's Chronicles Vol.1, I told myself I would someday read the music memoir that everyone was talking about. 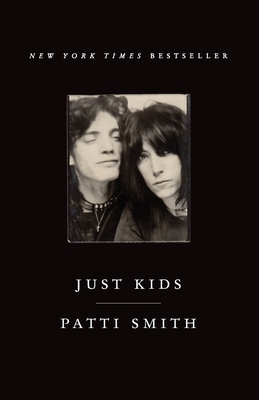 This past summer, after five years, a National book Award, and countless accolades and top ten lists, I finally read Patti Smith’s Just Kids. My expectations were completely wrong in thinking that Smith would be recounting the 1970s New York music scene or sharing wild and crazy tales about touring the world with other legendary rock stars. While there is some of this (Smith name drops Hendrix, Joplin, Ginsberg, Burroughs, etc. ), this memoir has little to do with Smith’s early life or her music career, but is really a tender portrait of her friendship with the artist Robert Mapplethorpe. 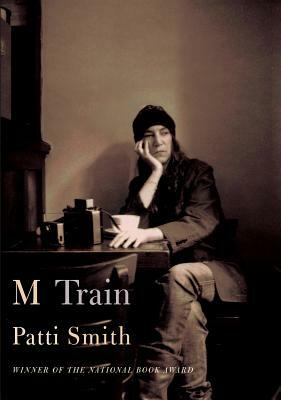 With her new memoir, M Train, Patti Smith again chooses not to write meaningfully about her days as a rock star. Yet again, Smith writes a completely enamoring book this time focusing more on her present day life after the deaths of her best friend (Robert Mapplethorpe), her husband (Fred Smith), and her younger brother (Todd). M Train is about how she has coped with her new solitary life. A less talented writer would never be able to make a memoir like this work. Bizarre anecdotes, like the time Smith met chess champion Bobby Fischer in a dark alley at midnight in Iceland and the time she gave a keynote speech at a secret society club called the “Continental Drift Club,” fill the pages of this book. Smith writes about seemingly random fragmented memories from her life like an old man rambling about old war stories to his grandchildren. Despite this, I am completely engaged with every word she writes and cannot wait for more. Meet Marie Lu at Ravenna Third Place Books!